If you’ve been in the martial arts scene for any length of time then chances are you’re familiar with the Hayabusa brand. Hayabusa has a singular purpose of designing and producing gear to maximize fighters performance and safety. 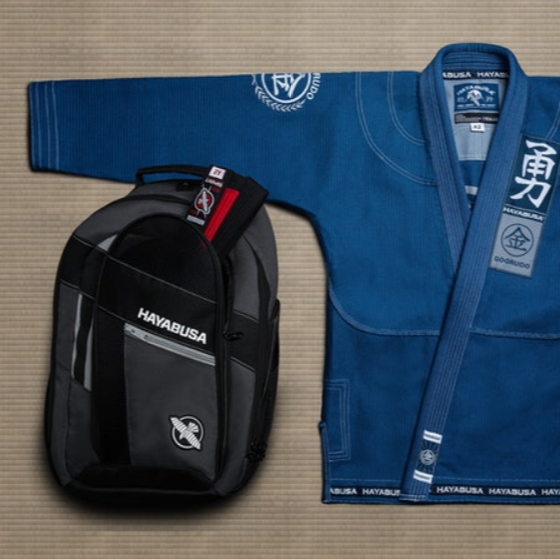 This same level of detail and craftsmanship has been extended to their line of jiu jitsu gi product line. This Hayabusa Goorudo gi review covers everything you need to know about the Hayabusa Goorudo 3 to get up to speed. The Hayabusa Goorudo 3 is designed to deliver a customized fit with unmatched comfort. The Goorudo 3.0 blends functionality and style while style being soft to the touch. The Hayabusa Goorudo 3.0 Gold Weave Gi has meticulous attention to detail and the craftsmanship pays special attention to detail in every aspect of the gis construction. The Hayabusa Goorudo 3 comes standard with reinforced stress areas for added strength and durability. You may think since the Hayabusa Goorudo 3.0 is a heavier gi that it might not fit comfortably but you’d be wrong. The pants are very fitted around the thighs. However, this doesn’t hamper your mobility while rolling, training or competing. The cut of the jacket is crafted perfectly and as a result the jacket stays closed better during hard rolling. Whereas the Manto Clasico v2 tends to come open while rolling. The less-tapered sleeves and close fit of the torso easily allow for chokes. 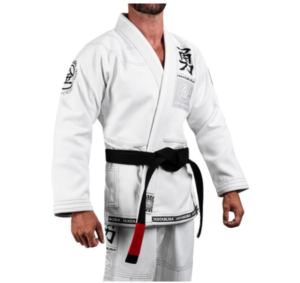 While the gi is soft thanks to the thick material it is harder for your opponents to maintain grips on the material or lapel. The only downside is the drawstring of the pants. It is made from a silky synthetic rope which tends to come undone during rolling. While we have a personal bias against heavy decorated and patched up gis the Hayabusa Goorudo does a good job incorporating these added design elements. 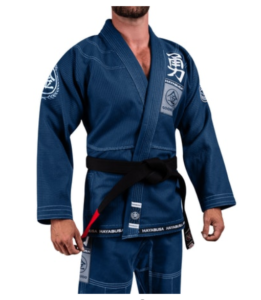 Thanks to the gis tailored cut and carefully placed embroidery this is a sharp looking Hayabusa gi that is sure to turn heads on the mat and be a topic of conversation. The Hayabusa Goorudo 3.0 Gold Weave gi has patches and embroidery on the lapel, chest, shoulders, back and the legs. And the gi is adorned with some pretty standard kanji meaning ‘courage’, ‘strength’, ‘pride’, and ‘respect’. The Goorudo 3 Gold Weave gi has a modest price point that won’t break the bank. This is a stylish gi priced at an affordable price point. The Hayabusa Goorudo 3 Gold Weave gi is a great addition to your existing rotation of training gi. 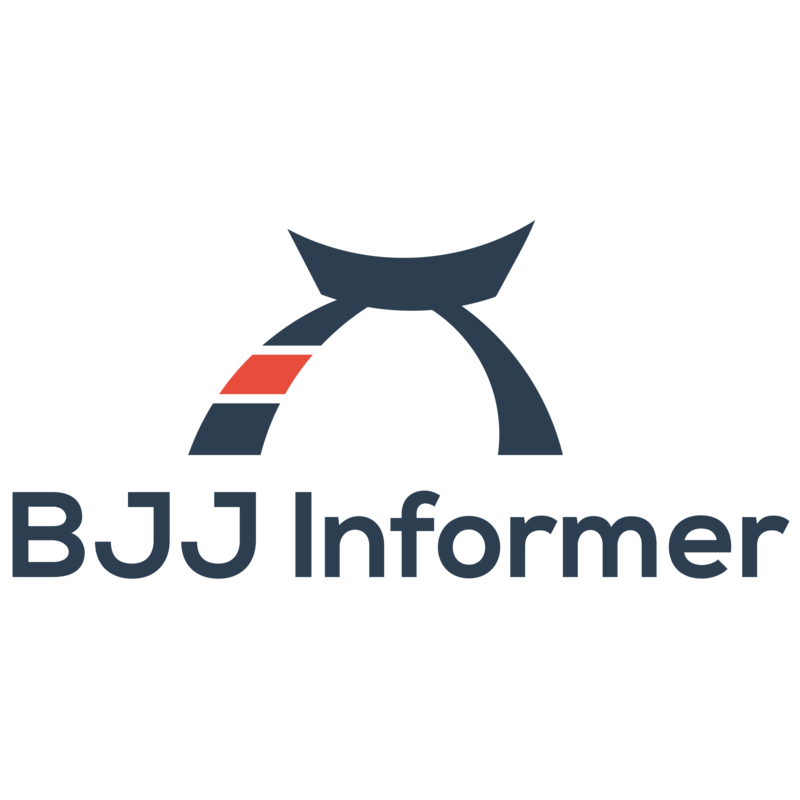 And the Goorudo even makes for an excellent competition gi thanks to being IBJJF compliant.